I’ve enjoyed my life very much. I’ve always tried really hard to have fun in my life and also in my work. I was lucky to be able to study Natural Sciences at Corpus Christi College at Cambridge University. I remember thinking I was very smart at school – until I got to university – when I realised that there were a lot of people much smarter than me! However, after a long career, I’m now immensely proud to be considered one of Britain’s greatest inventors. I returned to live on the Isle of Man 40 years ago after running the highly successful Otter Controls business in Buxton, Derbyshire. Many of the hundreds of patents that I hold are for domestic appliances, thermostats and electrical equipment. Probably my most famous invention is the thermostat controls for the cordless kettle, patented and used throughout the world. It’s been calculated that over two billion of my bi-metal blades – used in thermostats to switch off kettles – have been produced since their invention in the 1970s. Strix, a company I founded, now holds four Queen’s Awards, three for Export and one for Innovation, granted for my 360-degrees cordless kettle connector. My personal interests are varied and include mountaineering, sailing and flying, having first flown solo in 1953. One of my proudest moments in public life was being awarded Officer of the Order of the British Empire in the 2011 New Year’s honours list for services to business and horology. I’ve always been fascinated by clocks and throughout much of my adult life, I’ve been immersed in the study and collecting of early English clocks. I set up Fromanteel Ltd, a horological development company, named after the Fromanteel family of clockmakers of 17th-century London. I’ve helped curate many major exhibitions on 17th and 18th century horology, with a special interest in the works of Christiaan Huygens (1629-1695). Find out more in the film below produced by the Science Museum London. 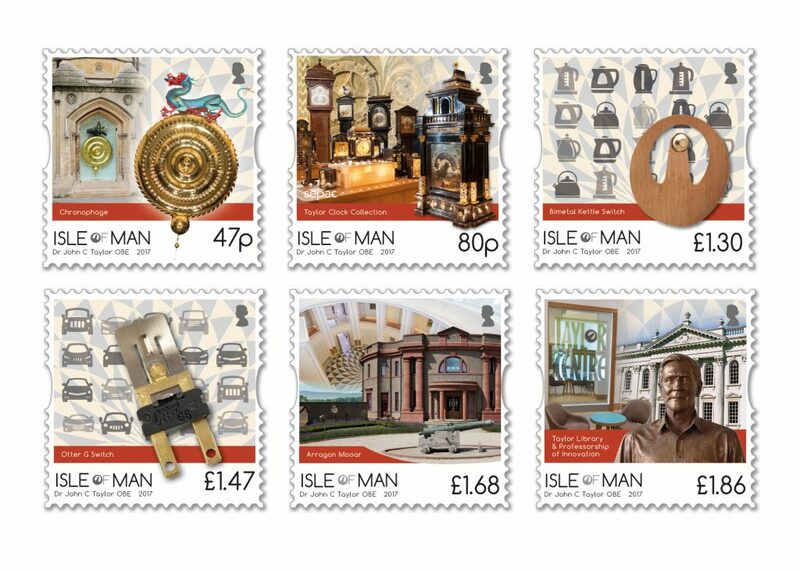 I’m thrilled that the Isle of Man Post Office has managed to sum up my life’s work in six colourful stamps, launched in September 2017.